Basingstoke Colorectal is a Partnership of seven Colorectal Consultants and General Surgeons Mr Brendan Moran, Mr Tom Cecil, Mr Faheez Mohamed, Mr Steve Arnold, Mr Arcot Venkat, Mr Sanjeev Dayal and Mr Francesco Di Fabio. All seven work both in the NHS at Basingstoke and North Hampshire Foundation Trust and privately at the Hampshire Clinic. The Partnership is unique in that it covers all elements of colorectal complaints, investigations, treatments and surgery. Their primary concern is the patient and their primary aim is to provide a first class service with clarity, through consultation to any treatment which may be needed. Mr Brendan Moran has been working at the Hampshire Clinic since 1995 as a Consultant Colorectal Surgeon and General Surgeon. Mr Moran has been a Consultant Surgeon at the Basingstoke and North Hampshire Foundation Trust since 1995 and is now National Lead Clinician for the Low Rectal Cancer National Development Pilot Programme. Until this latest appointment, he was the Director of the UK Pseudomyxoma Peritonei National Centre, having developed the centre into the largest peritoneal malignancy treatment centre in the world. Other principal appointments include Honorary Senior Clinical Lecturer at the University of Southampton, Cancer Sciences Division, Member of Council of the Association of Coloproctology of Great Britain and Ireland, Lead Surgeon of the National Multidisciplinary Team and the TME Development Programme. Mr Moran undertook his Registrar training in Hampshire and became a Fellow of the Royal College Of Surgeons of Ireland in 1984 and of England in 1997. Particular interests of Mr Moran include, rectal cancers, appendiceal tumours, Pseudomyxoma Peritonei. Mr Tom Cecil has been working at the Hampshire Clinic since 2002 as a Consultant Colorectal Surgeon and General Surgeon. Mr Cecil has also been a Consultant Surgeon at the Basingstoke and North Hampshire Foundation Trust since 2002 and is on the faculty for the National MultiDisciplinary Team and the TME Development Programme. Mr Cecil is the Director of the UK Pseudomyxoma Peritonei National Centre at Basingstoke. Other principal appointments include Course Convenor for “Le Peripherique” laparoscopic colorectal courses, Course Convenor for Elancourt TME Masterclass, faculty member of the European Laparoscopic Colorectal Masterclass and for the Danish National Colorectal Training Programme. 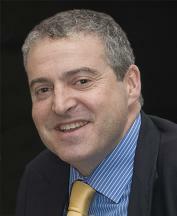 Mr Cecil undertook his Registrar training in the Wessex region and became a Fellow of the Royal College of Surgeons in 1994 and a Doctor Of Medicine in 2002 at Southampton University. 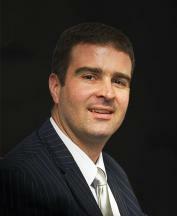 Mr Steven Arnold became a Bachelor of Medicine and Surgery at Guy's and St. Thomas' in 1997. He obtained a Masters degree with Distinction at the Imperial College/Hammersmith Hospital, London, in September 2002 and was a Specialist Registrar in the Wessex Region between 2003 and 2008. Mr Arnold has extensive laparoscopic colorectal interests, having been awarded the Ethicon National Laparoscopic Colorectal Fellowship at Frimley Park in 2008, and was subsequently appointed Covidien Laparoscopic Colorectal Fellow at Basingstoke and North Hampshire Foundation Trust. He is also one of the National Trainers in Laparoscopic Surgery. Mr Arnold is a Consultant Colorectal Surgeon at the Basingstoke and North Hampshire Foundation Trust and forms one of the six Partners of Basingstoke Colorectal at the Hampshire Clinic. Mr Faheez Mohamed became a Bachelor of Medicine and Surgery at the University of Edinburgh Medical School in 1996. He underwent Higher Surgical Training in the North East of England. He was awarded Doctor of Medicine at The University of Newcastle in 2005 based on his research into intraperitoneal chemotherapy for the treatment of intra-abdominal cancer. 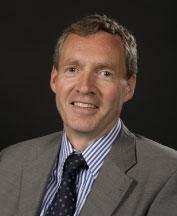 He was granted Fellowship of the Royal College of Surgeons of Edinburgh in September 2007. 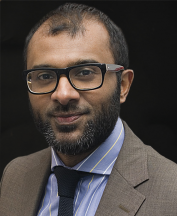 Mr Mohamed has been involved in extensive research on peritoneal surface malignancy under the supervision of Dr Paul Sugarbaker, Washington DC, USA and is currently Consultant Surgeon at the National Specialist Commissioning Group, Pseudomyxoma Peritonei Centre at the Basingstoke and North Hampshire Foundation Trust. Mr Mohamed is a Consultant Colorectal Surgeon at the Basingstoke and North Hampshire Foundation Trust and forms one of the six Partners of Basingstoke Colorectal at the Hampshire Clinic. 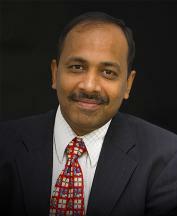 Mr Arcot Venkat became a Bachelor of Medicine and Surgery at the Tamil Nadu Medical University, India in June 1996. He underwent Higher Surgical Training in the North East of England and became a Fellow of the Royal College of Surgeons of Edinburgh in February 2008. Mr Venkat has been heavily involved in research for abdominal aortic aneurysms and has presented and published the results of this work internationally. Mr Venkat has extensive laparoscopic colorectal interests, having been appointed Covidien Laparoscopic Colorectal Fellow at Basingstoke and North Hampshire Foundation Trust and subsequently awarded the Ethicon National Laparoscopic Colorectal Fellowship at Frimley Park in 2008. He is also one of the National Trainers in Laparoscopic surgery. He has spent some time in the University Hospital in Aarhus, Denmark to augment his skills in managing pelvic floor conditions including faecal incontinence. 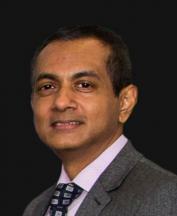 Mr Venkat is now working as a Consultant Colorectal Surgeon at the Basingstoke and North Hampshire Foundation Trust and forms one of the six Partners of Basingstoke Colorectal at the Hampshire Clinic. Mr Sanjeev Dayal became a Bachelor of Medicine and Surgery at the Christian Medical College at Ludhiana in India in 1992. He completed his Higher Surgical Training in General Surgery in 1998 from this Indian centre of excellence where he developed skills in managing a broad range of complex adult and paediatric surgical conditions. He has trained in Scotland and Basingstoke where he was a Fellow in Laparoscopic Colorectal surgery, and Peritoneal Malignancy. He has published and presented widely in the field of Peritoneal Malignancy and Colorectal surgery. He was appointed as a Consultant Colorectal and General surgeon at Basingstoke with an interest in Peritoneal Malignancy and is one of the Partners of Basingstoke Colorectal.